The New Year is a time for us to think about the past and reflect on how we can improve ourselves for the year ahead. We start by making resolutions, most popular of which include losing weight, eating healthier, exercising more, quitting bad habits, and traveling more. And though it can be a very exciting time, the New Year can be quite a demanding one too. Sticking to a plan and staying motivated year-long, on top of our busy work schedules and day-to-day tasks, is no easy feat. If we don’t manage our time properly, we can be overcome with stress and fatigue. And to make matters worse, the signs of exhaustion manifest on our faces, particularly around our eyes, in the form of bags and puffiness. Our tired, distressed appearances make sense when we consider all the blood, sweat, tears, and time we sacrifice to achieve our goals. But what’s really happening beneath our skin? Fortunately Gattefossé has a solution that can provide this triple-action: Cytobiol™ Lumin-Eye. Cytobiol™ Lumin-Eye is a synergistic combination of three ingredients, designed to address all causes of under eye bags and puffiness. Ash-tree bark extract, vitamin B3, and organic silicon all act on cutaneous microcirculation with several mechanisms. Fraxinus excelsior (ash bark), chosen for its richness in fraxin and esculin, helps prevent blood leakage and provides anti-oxidant activity. Organic silicon reinforces the structure and elasticity of blood and lymphatic vessels by interacting with collagen and elastin fibers. Vitamin B3 plays a key role in microcirculation, reinforcing blood vessels to restore normal blood flow in the capillaries. You can see a difference in a 28-day self-evaluation test where 63% of panelists found a reduction in puffiness, 77% found skin more firm, and 11% found a decrease in volume in under-eye bags. For many of you, a new year means new experiences, thereby ditching your customary, Netflix-binge plans, and leaving your house. In doing so, you mustn’t forget your essentials: phone, wallet, keys. But, as of late, there’s one more component you cannot forget: your eyebrows. So repeat after me: phone, wallet, EYEBROWS, keys. It goes without saying, our brows are getting a lot of attention with all the coloring, brushing, and shaping we’re applying to them. However, these acts of TLC are actually forms of stress, both mechanical and chemical, to our brow hair. 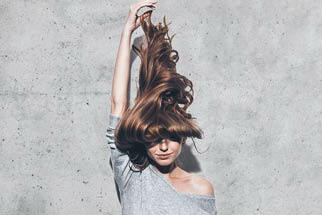 Many hair care products on the market use silicones because of their efficient performance. However, silicones have limitations regarding biodegradability, their build-up effect, and their image. Not to mention, their composition is chemically and structurally very different to our complex hair lipid layer. Fortunately, Gattefossé has just launched its first hair care ingredient, Definicire™, which has a biomimetic, lipidic composition that recreates the hair’s innate protective layer. It is 100% natural, based on functionalized jojoba and sunflower seed waxes, and ensures perfect hair discipline, a comfortable smooth feel in all climates, and even protects against urban pollution. 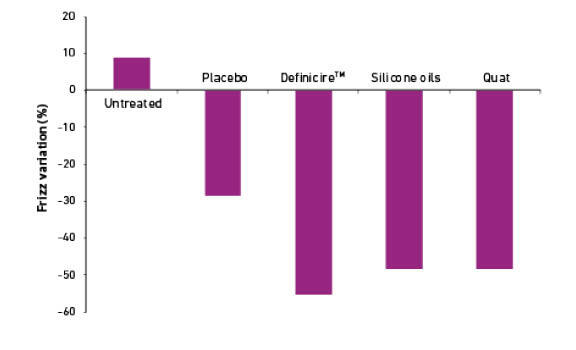 In addition, its performance can rival that of silicones, making it an ideal natural and high-performing silicone replacement in your formulations. Definicire™ prevents the appearance of frizz and fly-aways better than silicones, giving your eyebrows better shape and better control. Now that you’re tackling your to-do list of responsibilities, resolutions, and new experiences, you’re bound to be overcome with emotion! You’re happy you’re trying new things and discovering new places. You may even be sad that you don’t have enough time to see and do it all! You’re angry that you’re not reaching your goals or maybe surprised that you have! And while the list of emotions goes on and on, they are all reflected in our eyes. The eyes are not only the windows to your soul, but they are facilitators for communicating the 6 primary emotions(2). The skin around our eyes is very specific. It is one of the thinnest areas of the skin. They’re prone to increased sensitivity due to environmental aggressors like UVA and UVB, as well as digital pollution such as artificial visible light from screens. The eyes are also in permanent motion, blinking 20 times a minute, or 19,000 times a day! All of these factors favor the formation of wrinkles. These wrinkles may sometimes lead to unintentional expression of inappropriate emotions, but they always lead to faster aging around our eyes. First it was the bags and puffiness, but now it’s wrinkles too. What’s going on? There are three types of eye wrinkles: crow’s feet, under-eye wrinkles, and valley of tears, and there are two key factors to consider in their formation. The first is the flattening of the dermal-epidermal junction (DEJ). This leads to the diminished area of contact between the dermis and epidermis. As a result, cohesion, communication, and nutrient supply are reduced. The second is the nature of mature skin. As we age, fibroblasts of the dermal layer are characterized by reduced contraction, mobility, and dynamism. This leads to degradation of the collagen and elastin fibers, which are essential for skin firmness and elasticity. 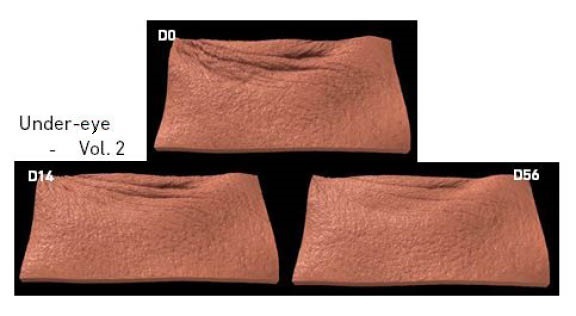 These impressive images show that Gatuline® Link n Lift redesigns your eye contour. Gattefossé believes in you! You have our encouragement and our effective products by your side, helping you take over your New Year resolutions without letting them take over you!